A toast to the Monarch of the Glen, and to the land of the Scots! 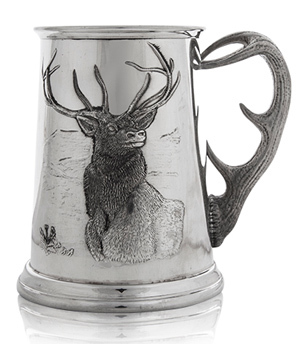 The quiet strength of a Stag amid highland hills graces this pewter tankard, alongside a small Scottish Thistle; an antler forms the handle. 5" high, holds 20 oz. Made in UK.